Syringa is an Eagle, Idaho new home community offering potential home buyers environmentally friendly homes. Conveniently located near Linder Rd. off Floating Feather Rd. Syringa includes 1/4 and 1/3 acre building lots throughout the community with access to neighborhood parks and a swimming pool. Related community searches include Ashbury Eagle Idaho and the Legacy Subdivision. Browse all Boise Home Builders. Head West on Floating Feather Rd from N Linder Rd. 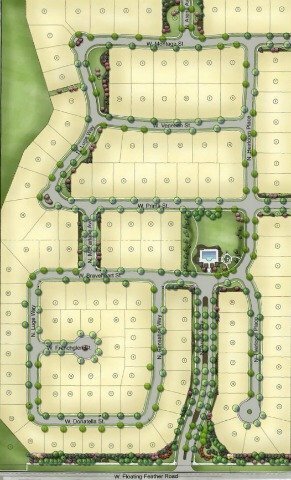 Turn right (north) on N Arena Ave.
Only a limited number of these exquisite homesites remain, so don't delay. Contact us online or call (208) 391-4466 to learn more and build your dream home in Syringa.